And you wonder why Western Europe is considered to have already lost the war on terror to Islam? In a recent poll by Le Journal du Dimanche, 57% of respondents stated that ‘Charlie Hebdo’ should continue to print cartoons of the Prophet Muhammad; however, an amazing 42% oppose Charlie Hebdo’s cartoons of Muhammad. So I guess that these people do not believe in Je Suis Charlie Hebdo. 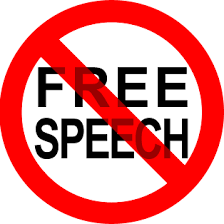 With nearly 50% of French not believing in freedom of speech and freedom of the press, does anyone wonder why many believe that western Europe has lost the war against Islam? What else would you expect when you allow Muslim “free zones” within a sovereign country? More than 4 in 10 French people believe Charlie Hebdo shouldn’t publish cartoons depicting the prophet Muhammad, given that many Muslims find the images offensive, according to a recent poll by a French publication, published Sunday. Three terrorist suspects have been ID’d in the shooting rampage in Paris, France as two police officers and 10 journalists at Charlie Hebdo were murdered. France’s prime minister, Manuel Valls, said the three Islamofascists suspects are brothers, 32 year old Cherif Kouachi, 34 year old Said Kouachi and 18 year old Mourad Hamyd. The brothers were known to intelligence services. It is currently unknown what the relationship of the 18 year old is to the two brothers. AFP reported that they had been spotted at a petrol station in northern France. The younger of the two brothers being hunted by French authorities had already spent time in jail for links to terrorism. Cherif Kouachi, a 32-year-old French citizen, was sentenced to three years in prison in 2008 for being part of a jihadist recruitment ring in Paris that sent fighters to join the conflict in Iraq. He was arrested in January 2005, at the age of 22, when he and another man were about to set off for Syria, via which they planned to reach Iraq where war was raging. But at trial, Kouachi was described as coming under the influence of a radical Muslim preacher, Farid Benyettou, at the Addawa mosque in Paris’s 19th arrondissement. Much less is known about the elder Kouachi brother, who doesn’t appear to have as high a profile as his younger sibling. Said Kouachi is 34 and also a citizen of France, according to French authorities. CNN affiliate BFMTV reported that police found an ID document of Said Kouachi during the investigation. “It was their only mistake,” said Dominique Rizet, BFMTV’s police and justice consultant. The photo of Said Kouachi released by police shows him with close cropped dark hair and a short beard on his chin. He’s wearing a gray top with a collar. BFMTV reported that like his brother, he was born in Paris and was known to police. The Liberation report suggested that at the time of Cherif Kouachi’s arrest in 2005, the two brothers were both staying in Paris with a French man who had converted to Islam. Said Kouachi’s name came to the attention of police during the investigation into the 2010 prison-break plot, but there wasn’t enough evidence to keep investigating him, Le Monde reported. UPDATE I: 18 year old Mourad Hamyd turns himself in and surrenders to police after learning his name was linked to the attacks in the news. 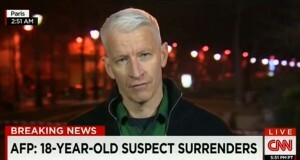 18-year-old Hamyd Mourad, has surrendered to authorities in France. 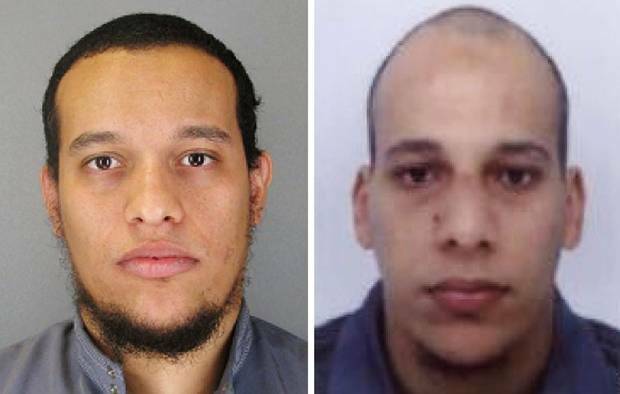 The two other suspects, identified by French police as Said Kouachi and Cherif Kouachi, who brothers in their early 30s, are currently still at large. The 18-year-old Mourad is believed to be the suspect who stayed on the street as the two older brothers committed the shooting in Charlie Hebdo’s offices, killing 12 people. FOX News’ Greta Van Susteren admitted Friday in “Off the Record” that she was called by the Obama White House and pressured to get Fox News reporter Jennifer Griffin (VIDEO) to back down on her Benghazi investigation. So much for The US Constitution, the First Amendment and Freedom of the Press. Of course we know the rest of the lapdog media was more than willing to oblige Obama.